In order to know what we can use blockchain technology for we first need to define it. Let’s begin by outlining what blockchains are and then we’ll move to what some of the best and most interesting ways they can be used in the business world. Blockchain-based databases are a subset of distributed ledger technology, called DLT for short, a way of structuring databases over many computers that each hold a complete copy of the whole database. The advantage of this distributed ledger structure is that each copy of the database is separate and whole. The blockchain adds another layer of features and complexity – it encrypts the information in the database by using cryptography to safeguard everything. So in summary – blockchains are cryptographically-encrypted distributed databases where the information that’s input onto the database and indexed on the blockchain can be public, but it’s integrity is protected through cryptographic encryption. So let’s take a look at some of the most popular blockchain use cases. Millions of people work in financial services, with their role basically reduced to shuffling data and paperwork through the vast pipes of the global payments processing system through millions of valves, chutes and sluices. Things move very slow (days for checks to clear), mistakes are abundant (information leaks all the time, account balances are wrong, etc.) and fraud and misdeeds are rampant. Blockchains, powered with smart contracts, can automate all of these transactions and eliminate human error and tremendous expense. From enabling international payments to powering mortgages – making them much faster and much cheaper – blockchains are a perfect fit for the financial services industry. Dozens of companies stand between you and the materials for that widget you ordered from China. You never know if you will get what you ordered. Things still get lost in shipping. Money doesn’t come through and if it does it can be held up by your partners. There is still so much opacity, delays and costs in getting the ores out of the mine to getting that specialized bracket delivered for your custom teardrop business. And as the global economy becomes more and more competitive and consumers are more and more interested in where their things come from and how they are made being able to show and verify everything in one place on one transparent ledger is a great competitive advantage. Hundreds of teams across the world are working on making that diamond or ore from a mine in Uganda traceable through the whole extraction, processing, production, manufacturing, shipping and delivery process across the global. It’s hard to imagine all of the global supply chains won’t be on the blockchain. LinkedIn claims that more than half of all profiles on the website contain falsities or exaggerations. Anyone who has moved from country to country or even state to state has had to deal with certifying diplomas and working hard to make sure things are nostrified and recognized between systems. Qualification credentialing is a global industry responsible for tremendous expense, lost opportunity and expense. A travel nurse in one country cannot simply go work in another hospital. She has to spend 6 months getting her credentials recognized by that other system (even if they practice the same type of medicine). She might even not be permitted to work in a hospital across the street if it’s in a different system. Blockchains make it possible for her to have all of her credentials certified on the blockchain, which ensures that she owns all of her recognized credentials in a wallet and has full portability of her information and full mobility of her career. Distributed, cryptographically-secure databases can be used in many industries, including banking, supply chains, credentialing and many others. While the user experience of using these solutions is still far behind what we are used to in our everyday use of computer, huge strides are being made each day to bring us a totally different way of managing the world’s information and bring a much more automated and faster layer of commerce to the world. 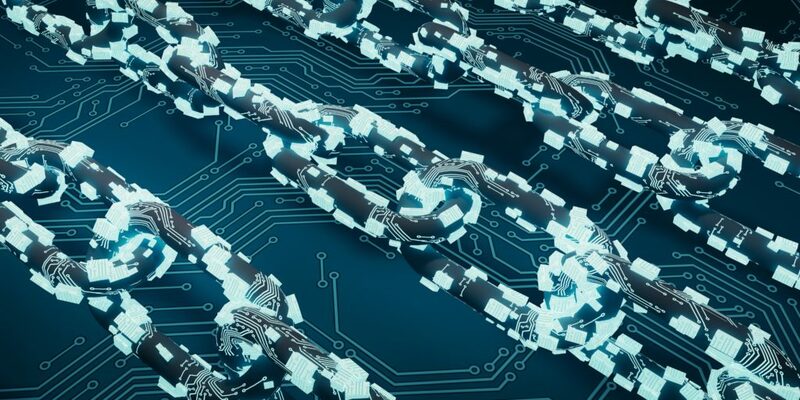 If you are interested in discussing how blockchain-based technologies can be implemented in the specifics of your business please feel free to contact us at MLG Blockchain.